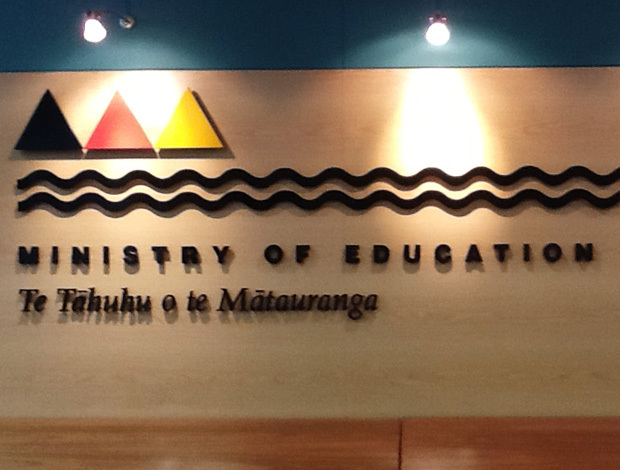 The New Zealand Ministry of Education is the office of national government which produces, oversees, monitors and shapes 3-18 teaching and learning in New Zealand. Their location in Wellington employs 3000 people and houses a number of task force teams. 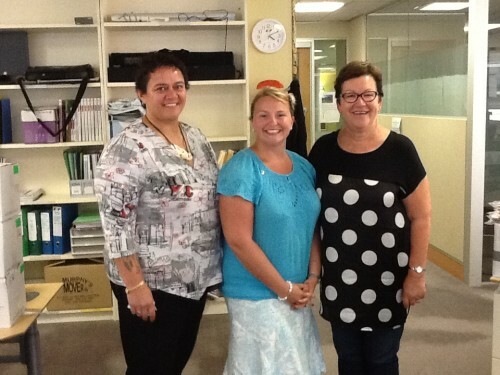 My meeting was with Kiritina Johnstone and Pauline Waiti, both experts in Maori medium education policy and practice. Kiritina and Pauline both saw the value of research into critical literacy education and pointed to Maori Medium education as a direct consequence and outcome of critically literate Maori learners. In the 1980s, Maori groups discussed, analysed and reflected on the Westernisation of the curriculum and campaigned for an education system which was better suited to their children’s cultural heritage and which was based on Maori knowledge, language and indigenous practices. 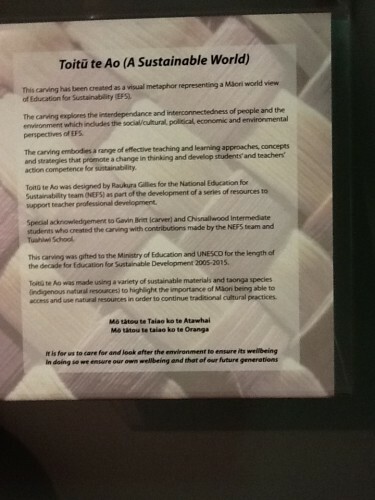 Within the resulting Tau Mai Te Reo (the Maori language in education strategy 2013-2017), much importance is placed on the development of learners as responsible and competent citizens who are continually alert to the injustices of the past and work towards a more just future for their whānau (families), hapū (clans) and iwi (tribes). In this way, the aim of Maori medium education is not simply to produce citizens who speak the Maori language – it is imperative that learners take a more active role than this if the culture is the survive. One way in which this approach has been facilitated is the development of a broad and flexible framework which serves as the curriculum structure in Maori medium education. The lack of prescription is designed to restore autonomy to teachers and tribes who can choose which stories, topics and skills are of most benefit to their learners in each specific geographical and cultural context. This flexibility allows for the preservation and conservation of the Maori knowledge base but also cultivates the development of critical literacy as students find, and use, their own voice as citizens of Aotearoa, New Zealand, the Commonwealth and the world. 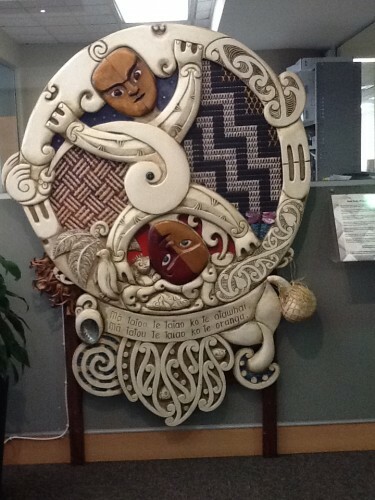 Maori artwork at the heart of the Ministry of Education headquarters. Explaining the significance of the artwork. Smiles after a very productive and interesting meeting.